We have entered Day 8 of sick kids in our house. Some fancy mom blog post is not going to happen. But, I can share this with you. Having sick kids is the worst. At this point, I have only taken 3 showers in 8 days. It took me a week to do the laundry (which I normally complete in one day). I have forgotten what it feels like to be in public, and so have my kids. The poor people at the doctor’s office got an earful from all of us when we had human contact with people outside our home for the first time in days. We are tired and cranky. But, we know that having kids means that inevitably we will deal with seasons like this one. I work from home. For all my working mom friends, I do not know how you do it with sick kids. My son’s school and his teachers are just the best. My husband went to pick up his stuff on Friday (he missed the ENTIRE week), and his teacher had packed him up special St. Patrick’s Day treats for him and his sister. *This was after she had already emailed me more than once to check on him. This has been our “most healthy” school year so far. I’ll take it. My parents live nearby now (Praise the Lord! ), so my dad was able to drop off Gatorade and crackers and other essentials. A sweet friend dropped off brownies on the doorstep and sent me funny memes to encourage me. So thankful for a great tribe! We have an abundance of television streaming options to keep sick kids entertained. My husband brought home multiple take home dinners so we wouldn’t have to cook or clean. 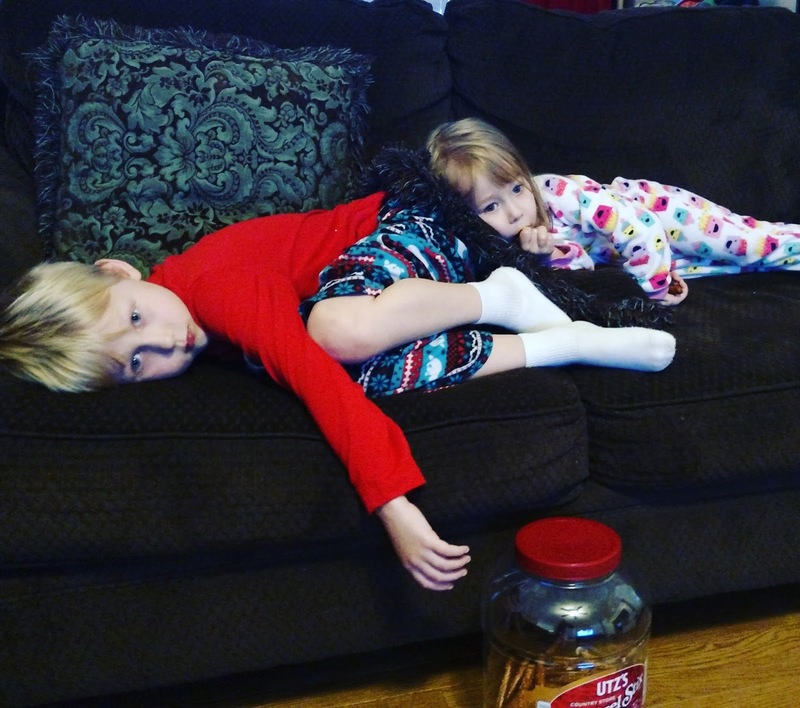 My kids just have a viral cold. I am beyond thankful that my children do not suffer from chronic or life-threatening illnesses. It would be really easy to throw a pity party today. And, there have been plenty of pity parties over the past few days. (Both kids home all week gave me a particularly terrifying glimpse into the upcoming summer break.) But, truly, besides being stir-crazy and desperate for adult conversation, I don’t have much to complain about. Instead of focusing on another day with a sick kid, I am going to be thankful for being able to afford healthcare when so many others (in America and especially elsewhere) cannot. I am going to be thankful for medications and shelter. I am going to be thankful for an abundance of food and water. I am going to remember that there are mommas all over the world struggling to feed, shelter and protect their babies in the midst of famine or war. And I am going to shut my mouth, bow my head and say a prayer for my babies and theirs. God continues to rain down manna, and I would hate to become just another grumbling Israelite. Honest moment: I planned to end this post with a list of organizations you can support to help moms and babies, but that list is just too overwhelming at the moment. What organizations do you support that aid mothers and their children? Let me know in the comments.